This segment began airing on Mirror Mirror in 65 cities on the LiveWell Network on September 8, 2012. Shape wear has come along way since the days of girdles and lace-up corsets. Now shapewear comes in lots of options, styles, fabrics and colors. Torsetts – shaping camisoles with an open bust so you can wear your choice of bras (shown: TC Fine Intimates Even More Torsette). Power – Some shapewear is thick and tight and actually makes you a size or two smaller. Some has lighter control for smoothing lumps and firming jiggly areas rather than changing your size. Powerful shapewear can squeeze out flesh and make more rolls at the edges of the garment. The edges of shapewear should always be smooth against your skin, without digging in to your flesh. Style – Different styles work for different figures. If you carry your weight on your back, stomach or sides, choose a shaping cami or high-waist bike short. You can even layer the two for a super smooth look. If you carry your weight on your hips, bottom, and thighs choose regular waist briefs, shorts or leggings. Different companies make each style differently; so keep looking until you find the right shaper for you. Fabric – Slick fabrics keep clothing from grabbing so you get a smoother look. Mesh fabrics breathes better and are cooler to wear. Try it on – It’s the only way to see if it is right for your figure. 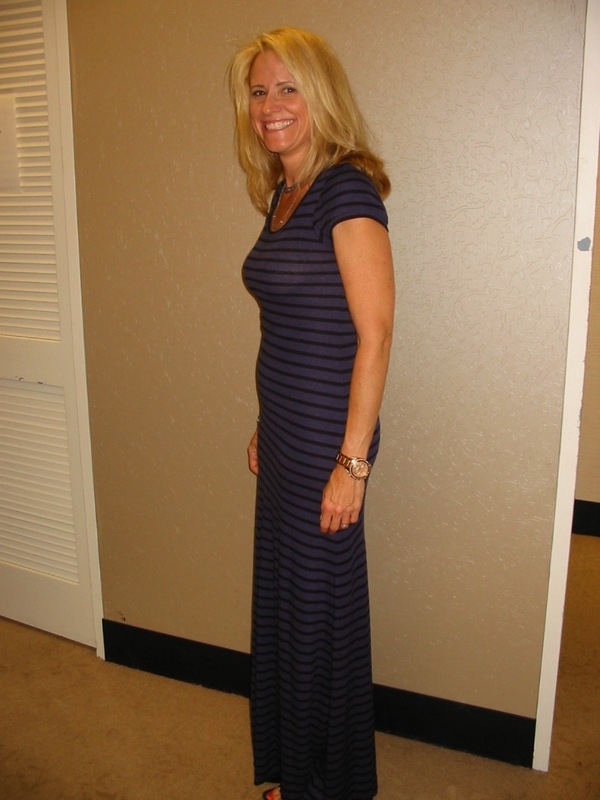 Keep trying on different styles, brands and fabrics until you find the right one for you. Better yet, try shapewear on under the garment you want to wear it with so you can check the neckline, hemline, transparency and fit to make sure it works for you and your clothes. Get one size bigger – some shapewear can be so powerful it squeezes too much. Sometimes you need to get one size bigger than you think so you get the smoothing effect instead of the squeezing effect. Everyone can wear shapewear – Shapewear isn’t just for plus sizes. Even small-sizes have cellulite to smooth or jiggles to firm. Silicone – at the edges keeps the shapewear in place so it doesn’t ride up, roll up, fall down or slip off. 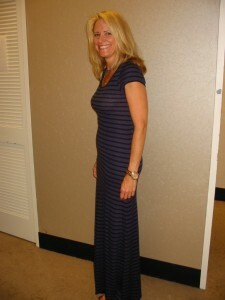 Necklines – check slips, camis and body suits to make sure the neckline is low or high enough. Open bust – slips, camis and body suits with open busts allow you to choose the right bra to work with the neckline of your clothes and give you the shape and support you want. Now that you know what to look for, here are some model before and afters to demonstrate some of the tips. Susan wants to slim her waist and smooth her back. These high waist bike shorts slim her torso area from just below the bust area through the whole waist area. This style is perfect if you carry your weight in your torso, waist and tummy. The torsette is a great option because it smooths the whole torso and back and you can wear your own bra so you can get the right fit and support for your bust. The shaping leggings smooth the tummy area and firm the lower body. Since the shape wear and clothing are all in one, it’s easier to manage and cooler to wear. Even thin women have “flaws.” Shapewear can slim tummies, smooth cellulite and firm jiggly areas, even on slim women. This shaping brief is made from thin stretchy material that lightly smooths out the tummy area. Frankel calls her shapers “Glamouflage.” It’s shapewear that looks like lingerie. Shaping briefs work well for slim women who don’t have any extra on the hips. The shaping cami comes with or without underwires and handles the love handles. Joan wants all-over smoothing. She lost 50 pounds and her skin hasn’t caught up with her weightloss. The body suit is another option to a slip for all over smoothing. It smooths the whole body, including the bottom and thighs. Watch the thigh openings. Make sure they are tight enough to smooth your legs and loose enough that they don’t create a squeeze line that shows through your clothes. Some body suits have varying “powers” at different points along your body. Watch the length of the shape wear. Check to make sure it doesn’t stick out below your hemline when you are standing AND sitting.